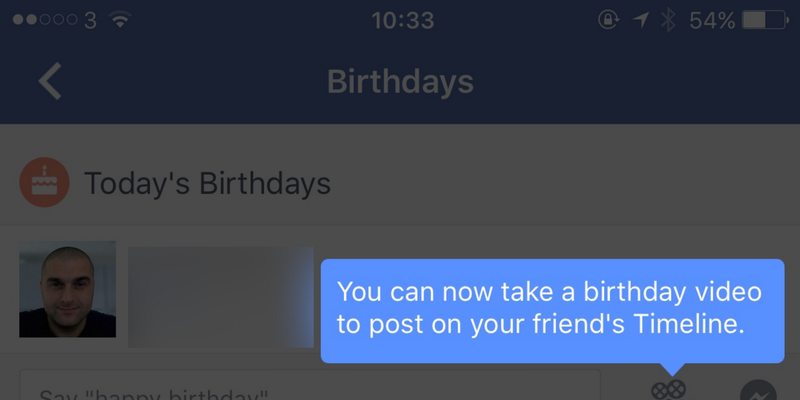 Facebook doesn’t want you to celebrate your birthday alone, but an endless list of comments from everyone in your friends list saying ‘Happy Birthday!’ doesn’t really deliver the personal touch either, which is why some iOS users are now being prompted to send a video as a birthday greeting directly from within the app. To use it, you just tap the record button and capture a message of up to 20 seconds. You can then review it before posting to the person’s wall.